The new digital SHT3x humidity sensor series takes sensor technology to a new level. As the successor of the SHT2x series it is determined to set the next industry standard in humidity sensing. 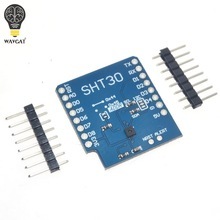 The SHT3x humidity sensor series consists of a low-cost version with the SHT30 humidity sensor, a standard version with the SHT31 humidity sensor, and a high-end version with the SHT35 humidity sensor. The SHT3x humidity sensor series combines multiple functions and various interfaces (I2C, analog voltage output) with a applications-friendly, very wide operating voltage range (2.15 to 5.5 V). The SHT3x humidity sensor is available in both large and small volumes.